The critically acclaimed and highly anticipated Star Wars #1, written by Brian Wood, has officially sold out of its second printing before the release of issue #2! 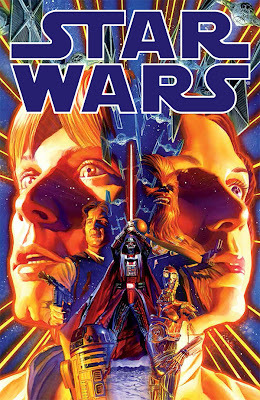 This all-new Star Wars series is set in the time period of the original trilogy, directly following the events of Episode IV: A New Hope, and features the franchise’s best-loved characters, as told by Brian Wood (X-Men, DMZ, Conan the Barbarian, The Massive), with art from Carlos D’Anda (Batman: Arkham City). This is Star Wars as you remember it . . . and as you have never seen it before! Dark Horse is taking you back to those heady, adventure-filled days following the destruction of the Death Star—when the Empire ruled, the Rebels were on the run, and the galaxy was a dangerous place where anythingmight happen! Retailers: Star Wars #1 can be ordered with the code DEC128188 D and is also featured in today’s edition of Diamond Daily.